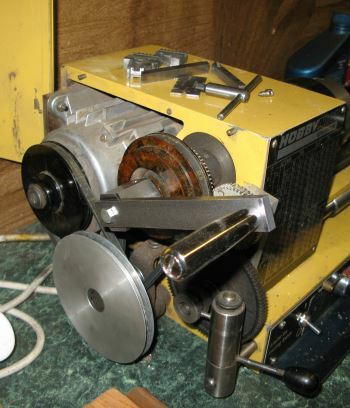 The spindle of the Hobbymat MD65 is driven with a belt and pulley system with an intermediate reduction pulley that can be seen on the right hand side of the image. A gear is located on the spindle (behind the pulley in this image) and this has a key to locate it on the main shaft. The set of gears here have a large reduction as the system is set up for a fine traverse. The pillar at the bottom of the image has a lever that operates the dog-clutch to engage and disengage the leadscrew. At the very bottom right of this image you can see the dog-clutch that is disconnected at this point in time. 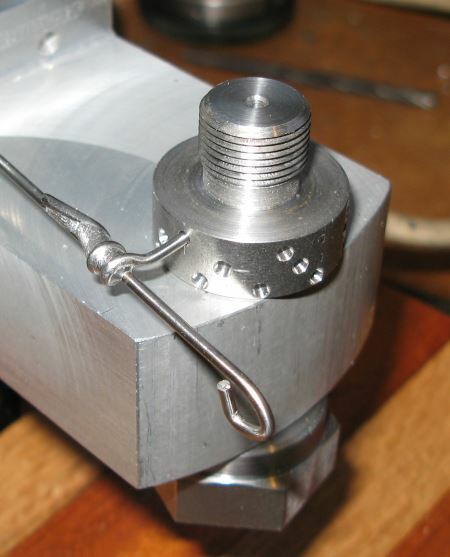 The saddle is permanently engaged with the leadscrew, this means that once you have made a cut you need to stop the lathe, reverse the motor direction and wind the leadscrew back to the start of the cut – leaving the dog-clutch engaged all of the time. In this image on the right you can clearly see the drivetrain. With change gears there is quite a lot of setting up of the gears and care needed to get it right. 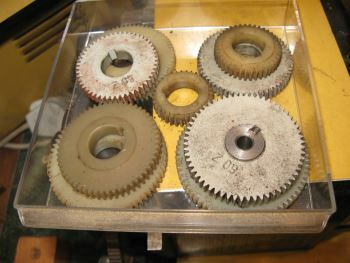 The middle intermediate pair of gears have a metal carrier that is also the bearing. This is adjusted on the aluminium plate that in turn can be moved get the correct engagement of the gears on the main spindle. 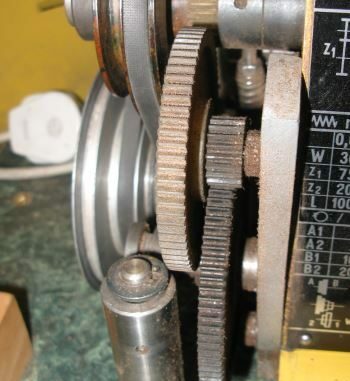 As these are plastic gears I have left them dry, but they do pick up quite a lot of dust from the workshop, to date this has not done any serious damage and these gears have been used for around 30 years, ok fairly light use. A box of spare gears used to create the other spindle to leadscrew relationships – ie to allow you to create the other thread pitches. 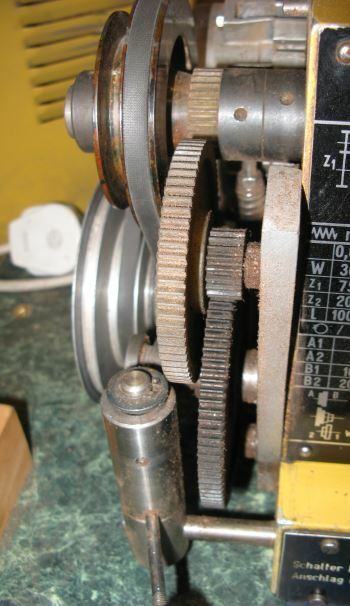 You can see a metal spigot in the centre of one of the gears with a key to locate it. 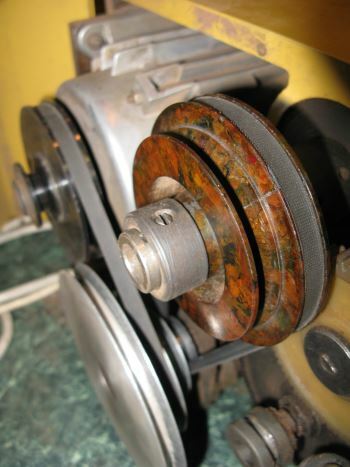 Machining a thread up to a shoulder on the lathe takes some time and experience to master. The image on the right shows a mounting for the table on my small Pillar Drill, the thread is 14x1mm so that I can fit Unimat chucks and backplates. For this I modified the Hobbymat with a handle on the back of the headstock spindle so that I could turn it by hand with the motor disconnected. This allowed me to machine the thread right up to the stop, wind it backwards and then take the next cut. I must admit that I finished the thread with a die.